If you suffer from any of the symptoms of angina, getting proper care is the best way to limit or avoid permanent damage to the heart muscle. 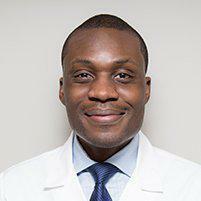 At his Manhattan, NY, office, Dr. Dele-Michael helps determine causes of angina and institute treatments to help reduce symptoms and protect the heart. Angina occurs when the heart is not getting enough oxygen-rich blood. Like all the other organs in your body, your heart needs oxygen to thrive. In a healthy heart, the coronary arteries bring oxygen-rich blood from the lungs to the heart. But when those arteries become blocked or when they're prone to spasms, blood flow to the heart can be compromised, causing angina symptoms to occur. Symptoms of Angina can be triggered by physical activity, stress, extreme changes in temperature, smoking and eating large meals. Sometimes more than one type of treatment will be recommended. 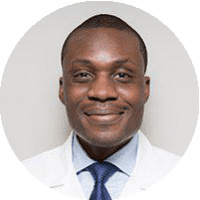 Dr. Dele-Michael will be able to make the most appropriate treatment recommendations for you based on your physical exam, personal and family health histories, lab work and other diagnostic tests that help him determine the underlying cause of your symptoms. The ultimate goal of treatment is to reduce or eliminate symptoms, improve heart health and help patients engage in normal activities without experiencing symptoms. Does having angina mean I'm going to have a heart attack? Not necessarily; with regular medical care, many patients with angina can treat the condition and control symptoms, so they don't have a heart attack. However, having angina does substantially raise your risk of having a heart attack, and any symptoms should be evaluated by the doctor right away.